UK has one of the World’s oldest systems of education with a reputation throughout the world for their high quality. UK provides a very vibrant, cosmopolitan environment for International students with a wide variety of study options from among the 1000’s of Educational Institutions. UK Scientist and Institutes include more than 100 Nobel Laureates – proves their advanced studies and Scientific Achievements. The studies consist of different teaching methods involving independent thinking. It provides a career based education and equip students to fulfill specific roles in today’s competitive modern world of work. Its easy access to European Union, Ireland and Scotland provides easy access to work placement in these countries. The United Kingdom is a constitutional monarchy and unitary state consisting of four countries: England, Northern Ireland, Scotland and Wales. It is governed by a parliamentary system with its seat of government in London, the capital, but with three devolved national administrations in Belfast, Cardiff and Edinburgh, the capitals of Northern Ireland, Wales and Scotland respectively. 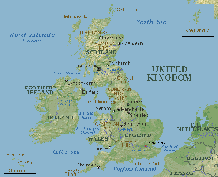 The United Kingdom has a temperate climate, with plentiful rainfall all year round. The temperature varies with the seasons but seldom drops below -10 °C (-14.0 °F) or rises above 35 °C (95 °F). Each year, hundreds of thousands of international students come to study in the UK because UK offers such outstanding opportunities. There is a huge range of degree courses offered by more than 180 institutions – the University of London alone has more than 40 institutions. You can study towards internationally-recognized qualifications in medicine, law, accountancy, architecture and other professions; or in the arts, media, humanities, business, science and technology. There is a spectrum of research and postgraduate degrees where students are guided by academic supervisors with world-class reputations.